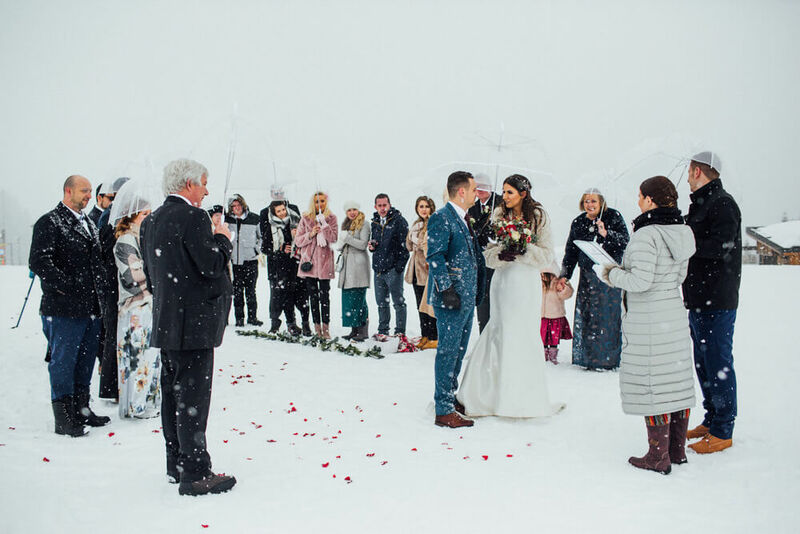 This is a wedding I will never forget. 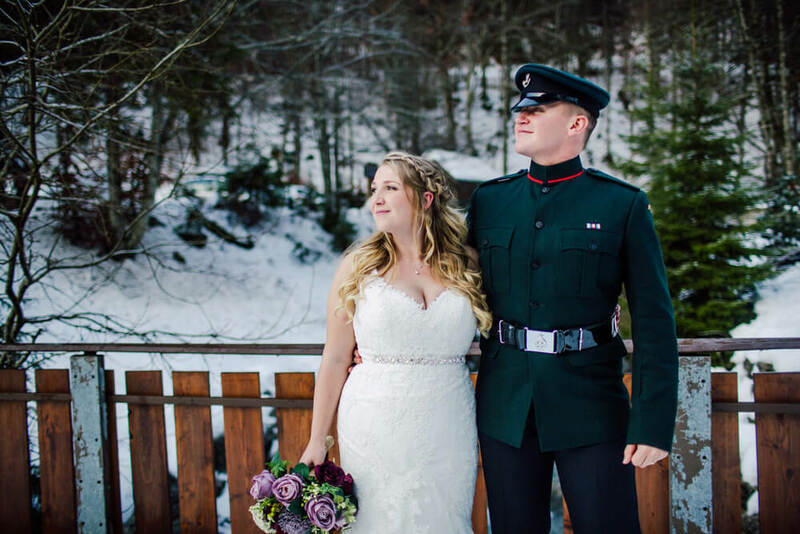 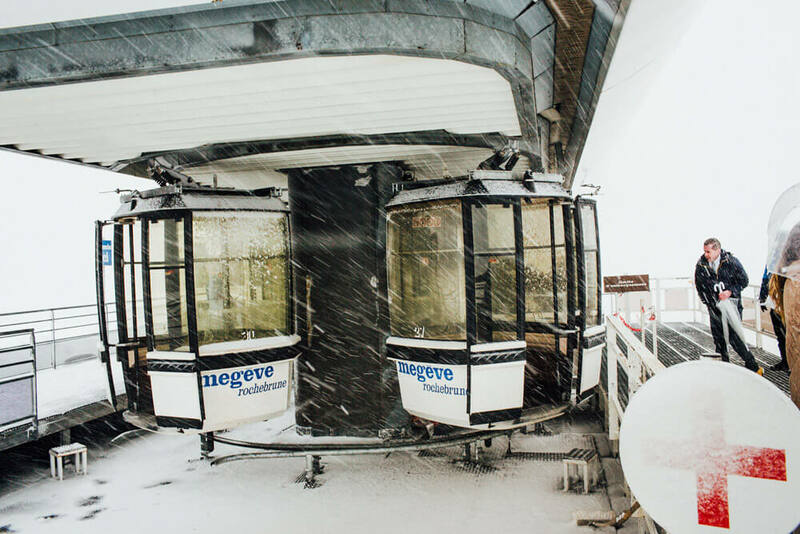 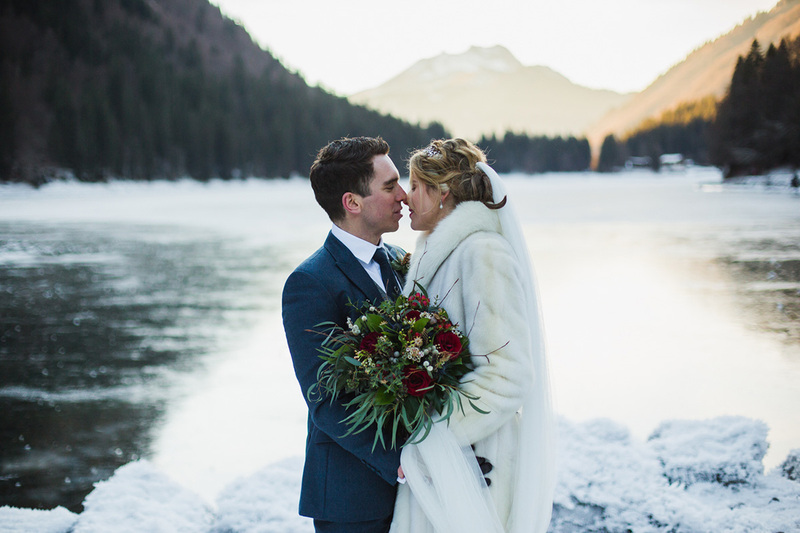 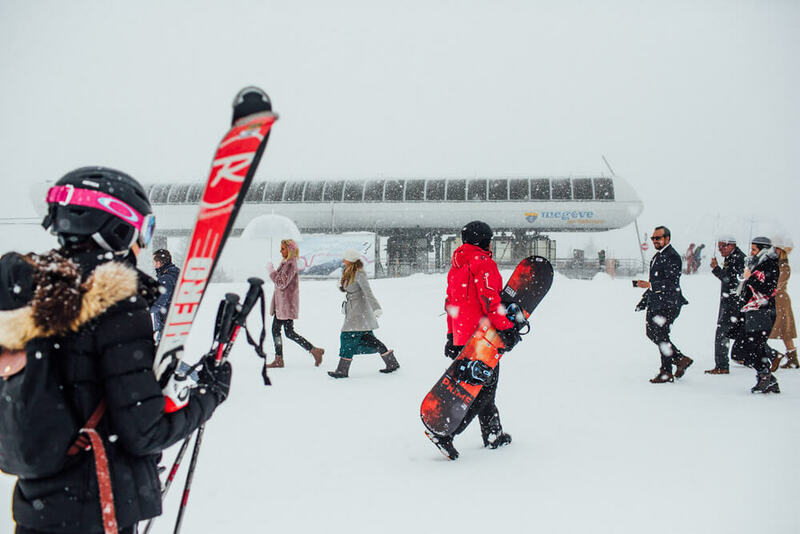 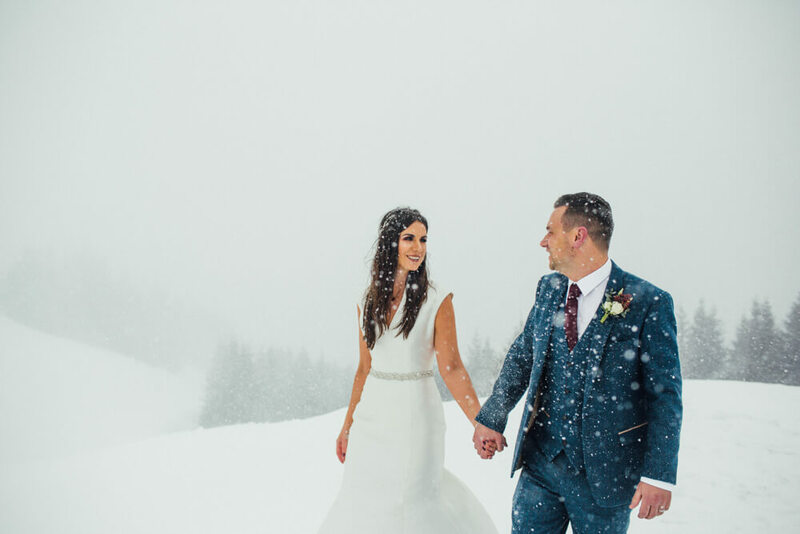 When Chris and Claire planned their mountain wedding for a March spring day, they didn’t for one minute think they would be getting married in a snowstorm. 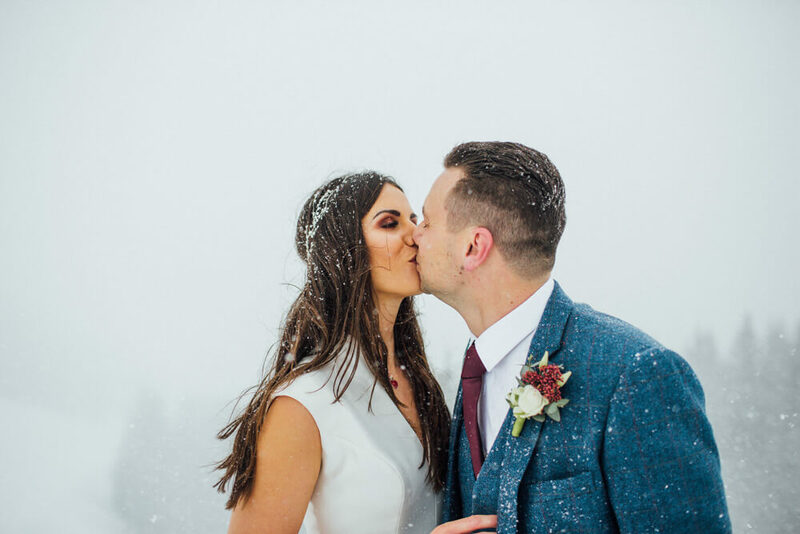 Shooting in a blizzard at the top of a mountain in temperatures as low as -10°C wasn’t how Polly and I had envisaged the day going either. 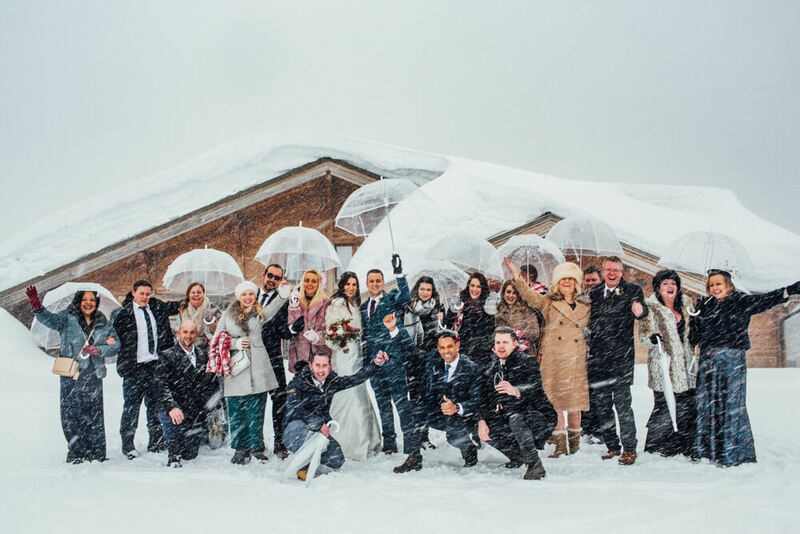 We were aware that the bride and groom’s original vision of their wedding images would not be achievable in such conditions. 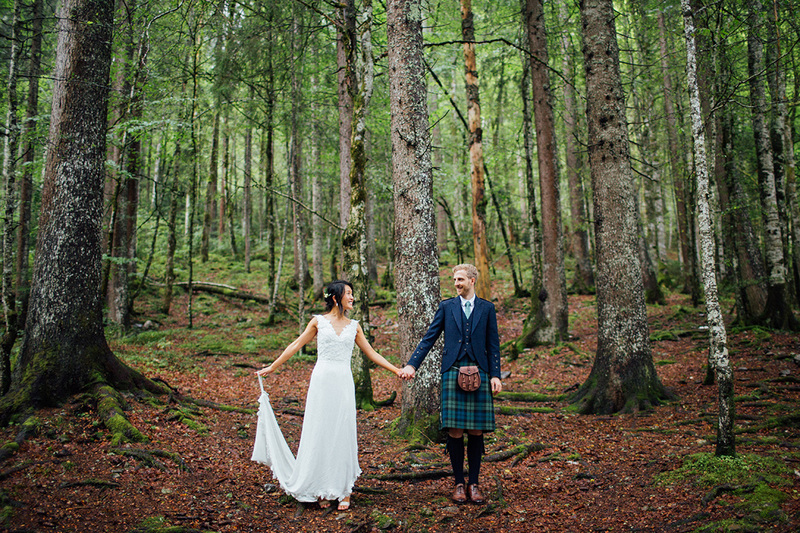 More than usual, we needed to think on our feet and use our intuition to capture the events of the day. 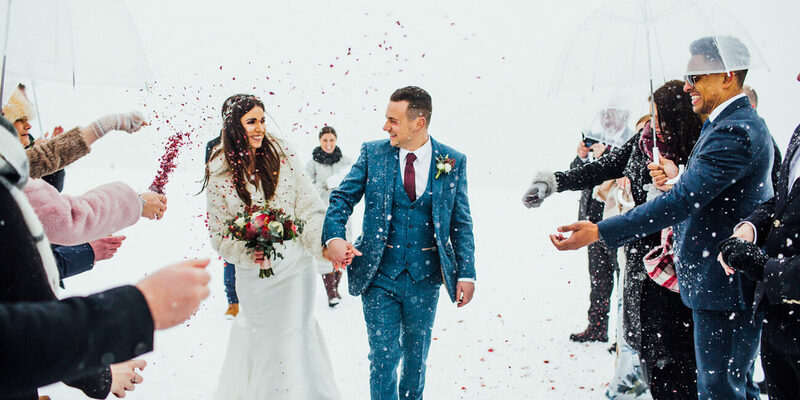 Fortunately, when two loving people come together with their loved ones to celebrate their marriage, things have a wonderful way of working out. 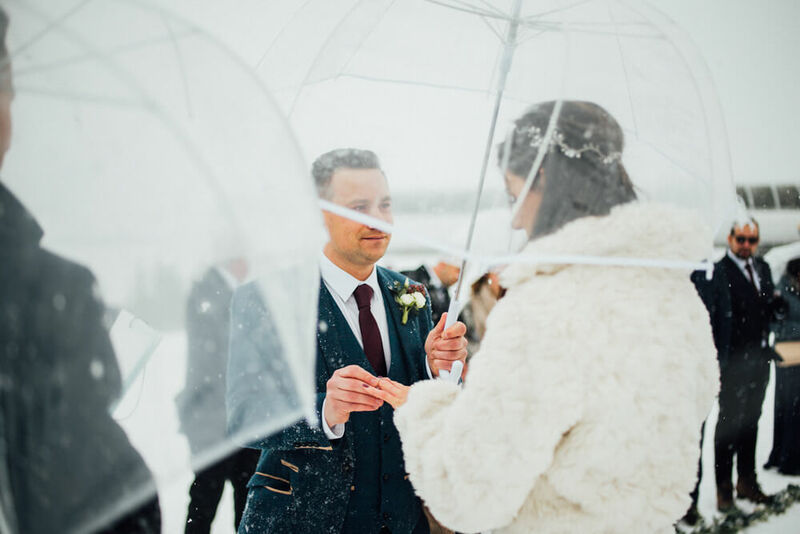 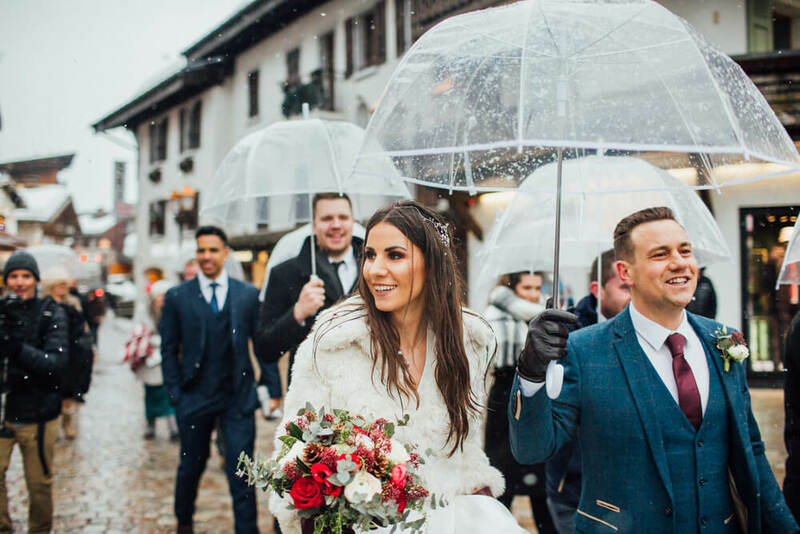 Magical scenes began to unfold before us, with the whiteness of the background and the snowflakes falling down on the couple and the wedding crowd creating a truly striking vision. 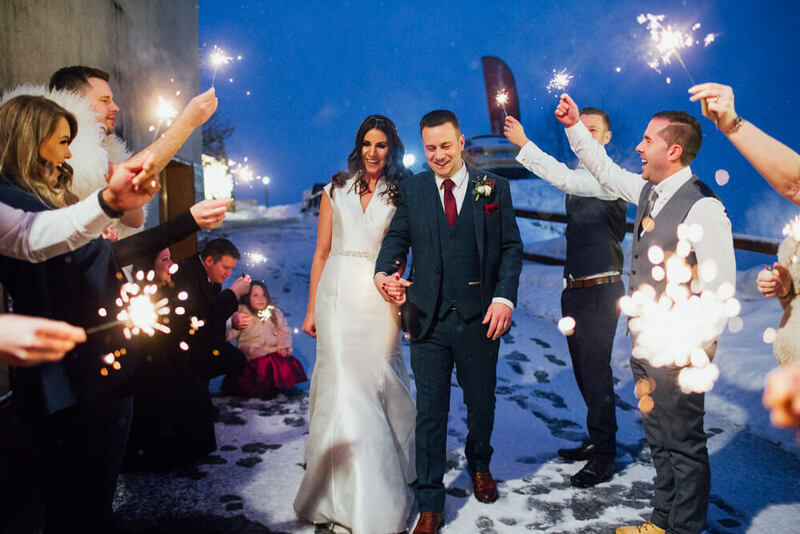 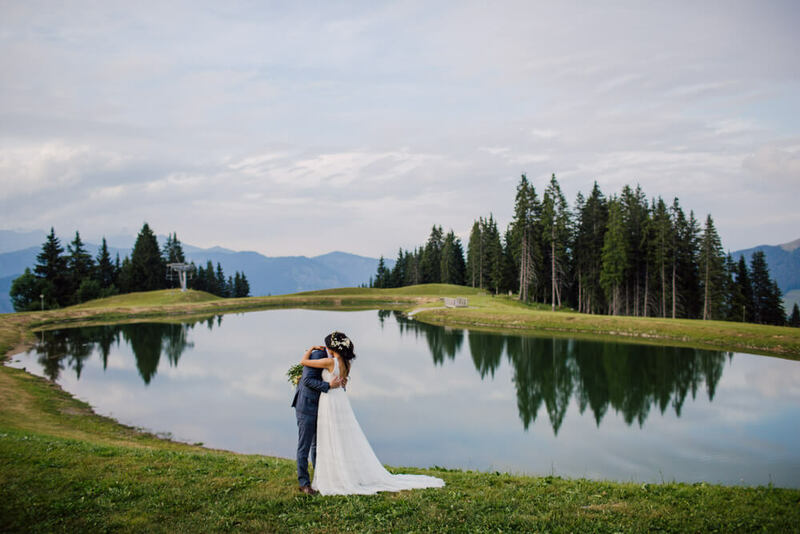 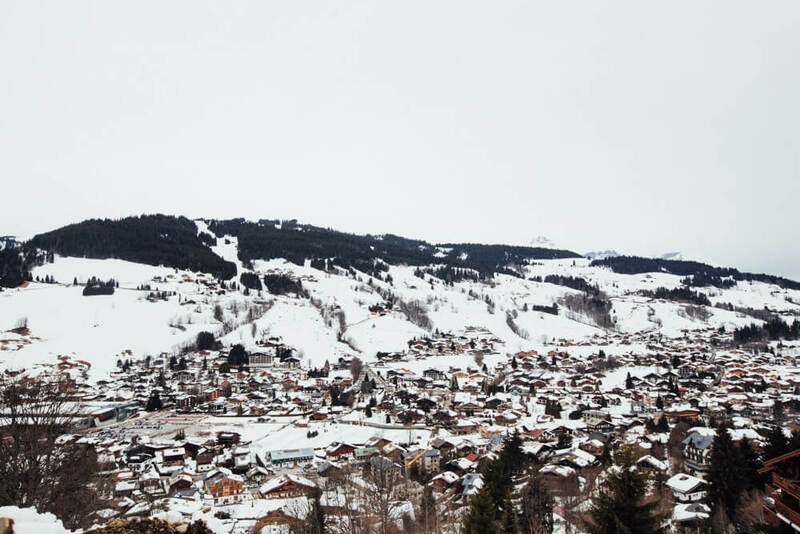 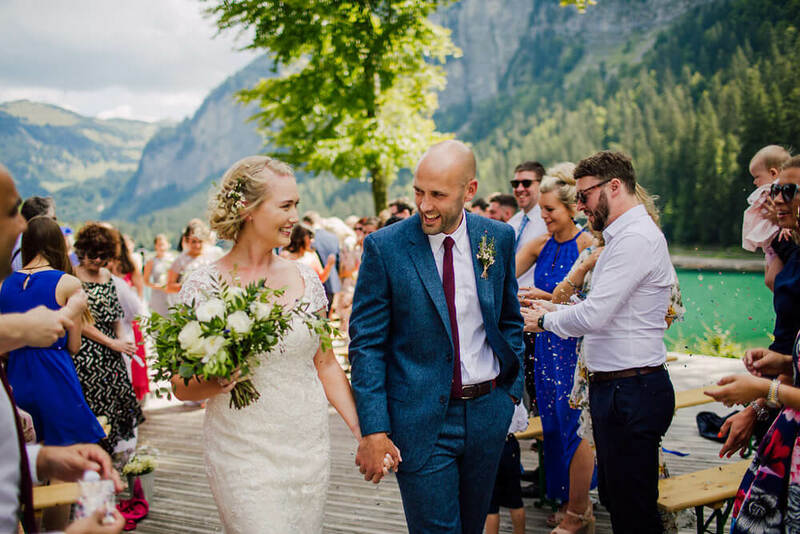 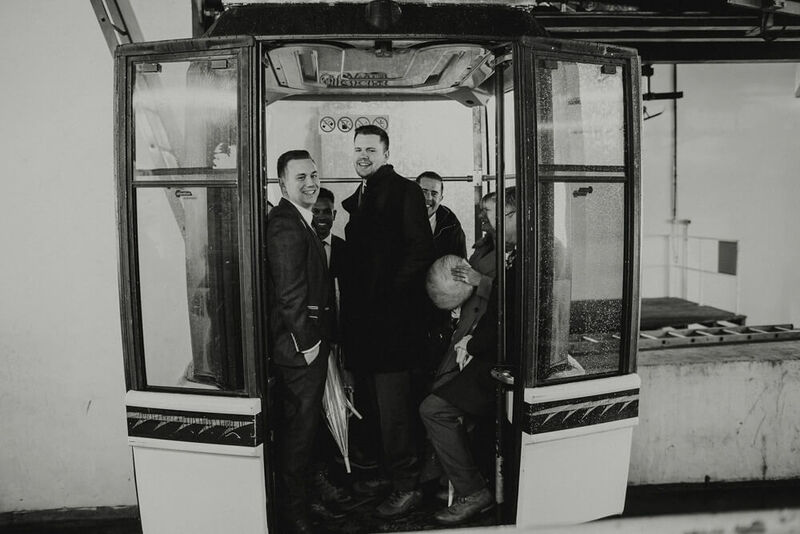 After the wedding ceremony, which took place in the very spot on top of the mountain were Chris had proposed to Claire, the couple descended down the ski lift and climbed into a horse drawn carriage which was waiting for them in the village square. 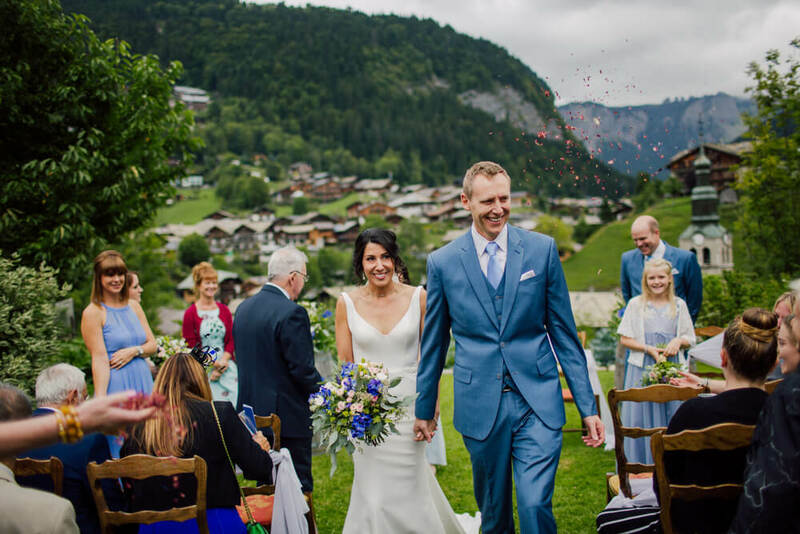 Villagers and the wedding guests waived the couple off, as the horse trotted through the pretty French village, a moment which Claire describes as ‘like we were in a fairy-tale’. 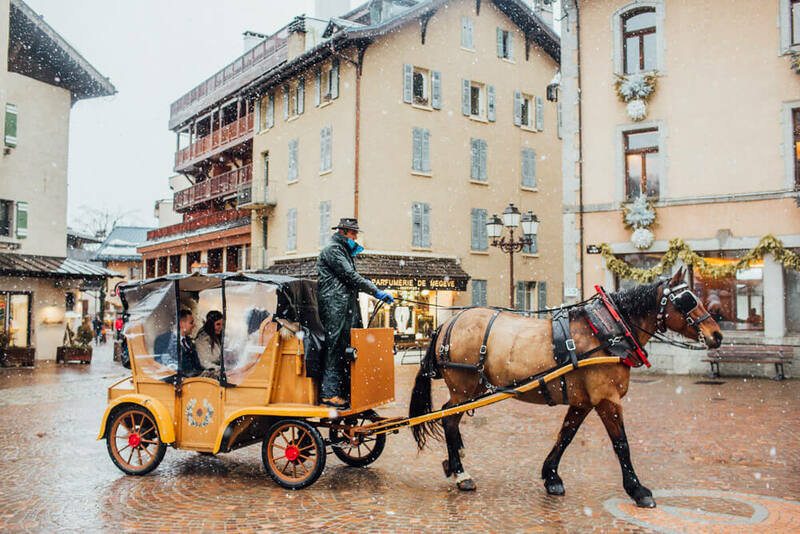 Horse drawn carriage ride through the village of Megeve. 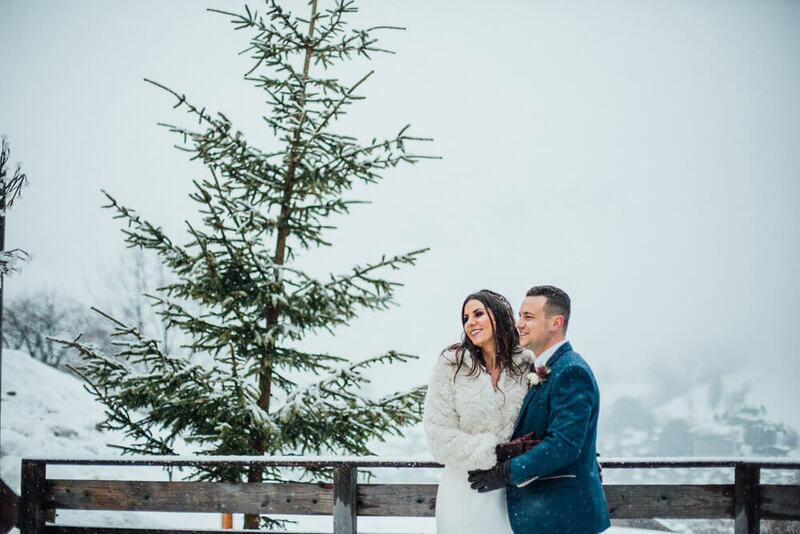 After the ceremony Claire and Chris had made sure that a warming glass of Vin Chaud was waiting for the guests at the Super Megeve restaurant. 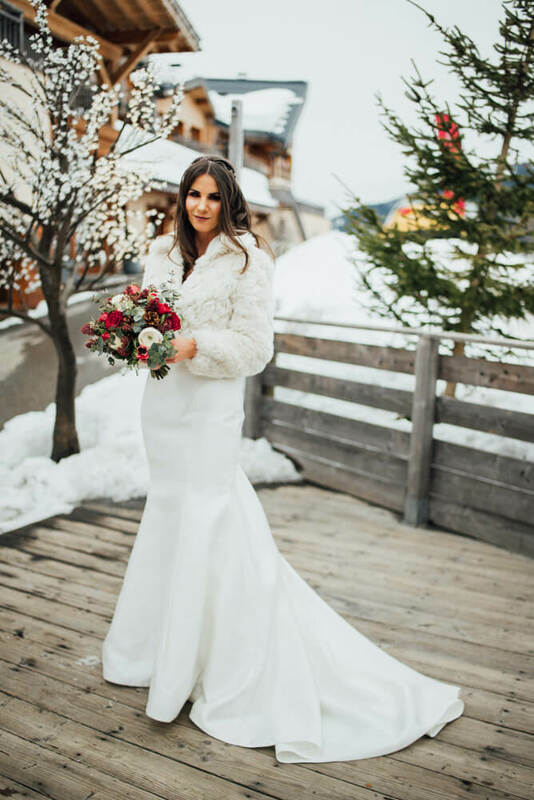 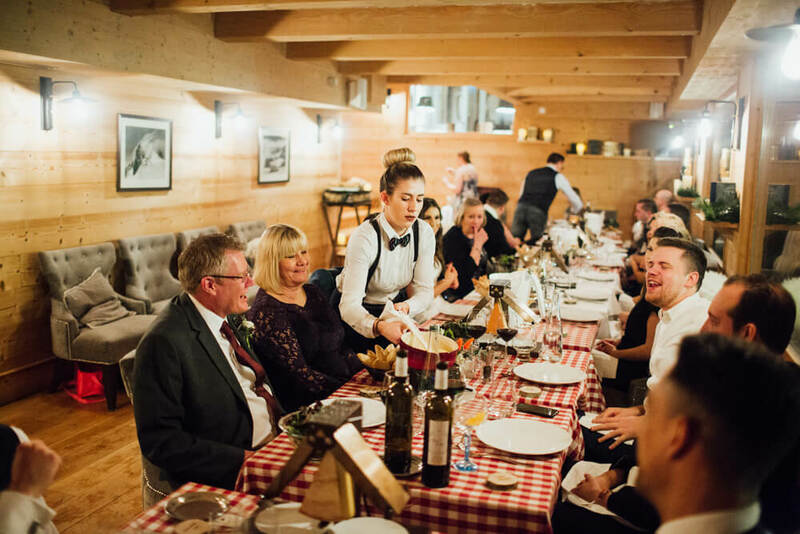 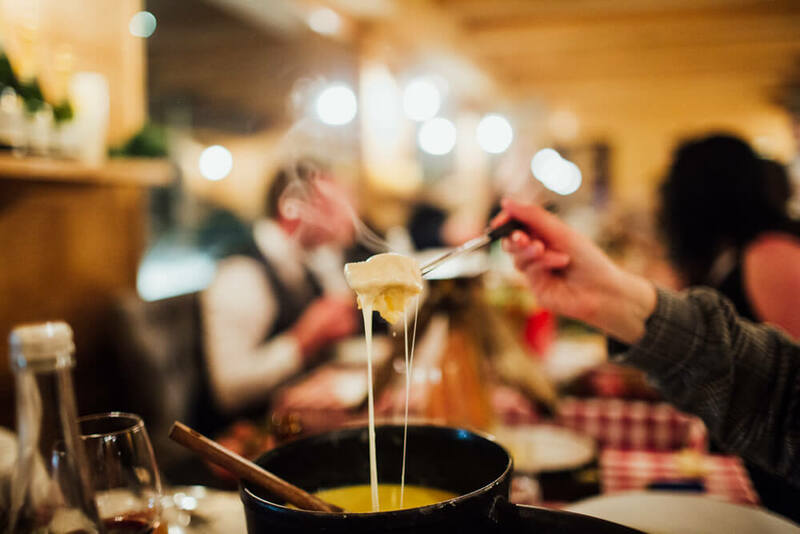 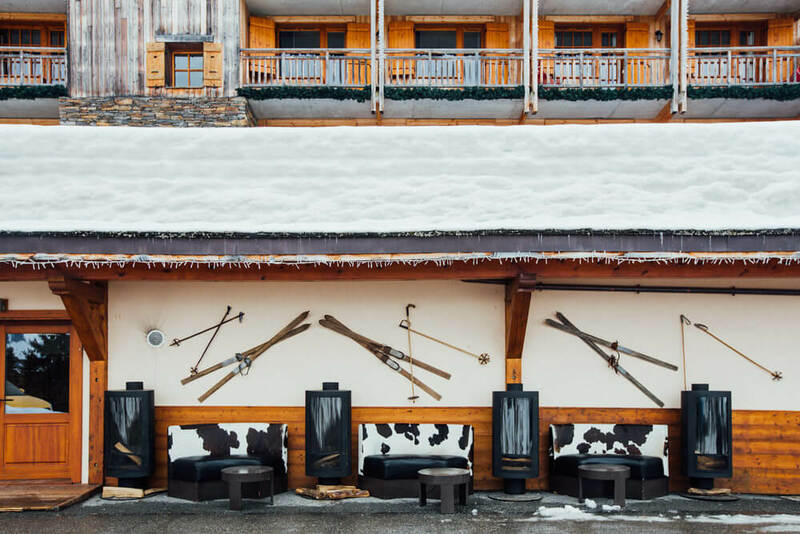 Later, a wedding breakfast of raclette and cheese fondue in the cosy chalet style interior of L’ Arboisie hotel, went down very well with the guests and continued the French alpine theme. 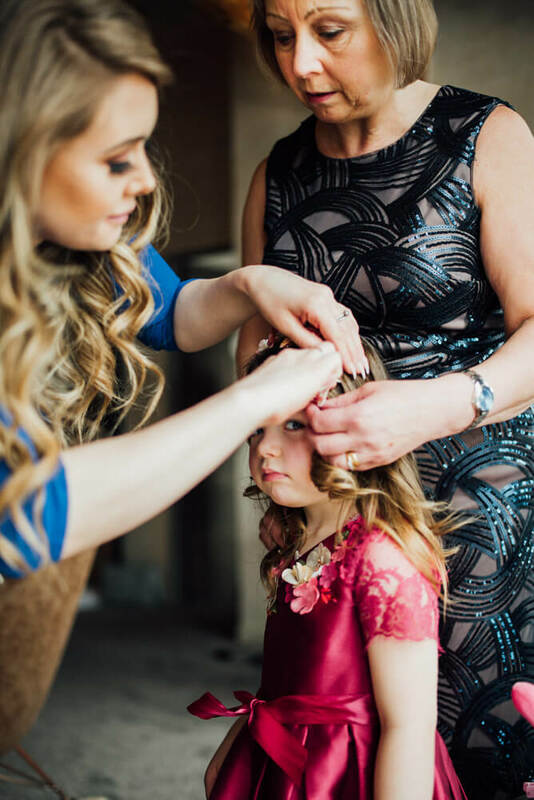 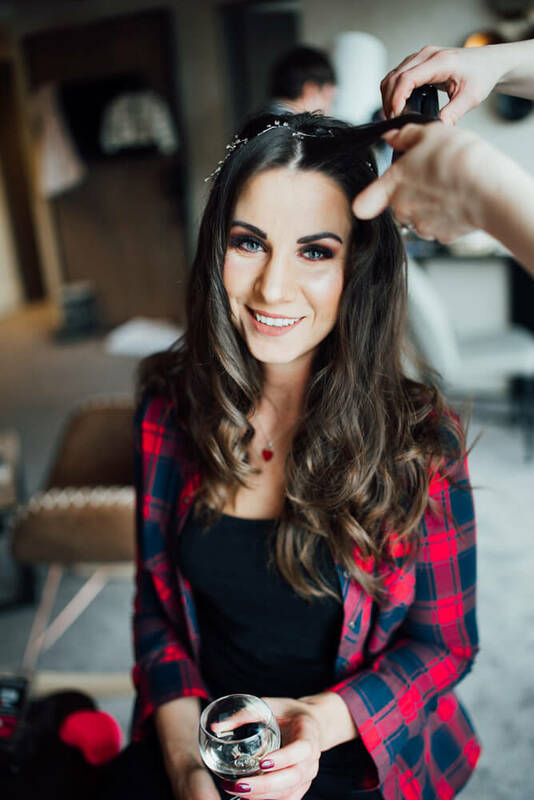 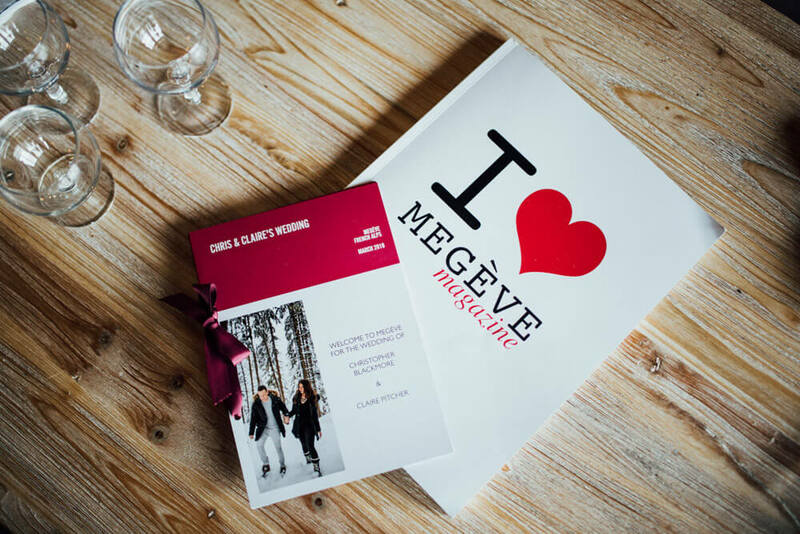 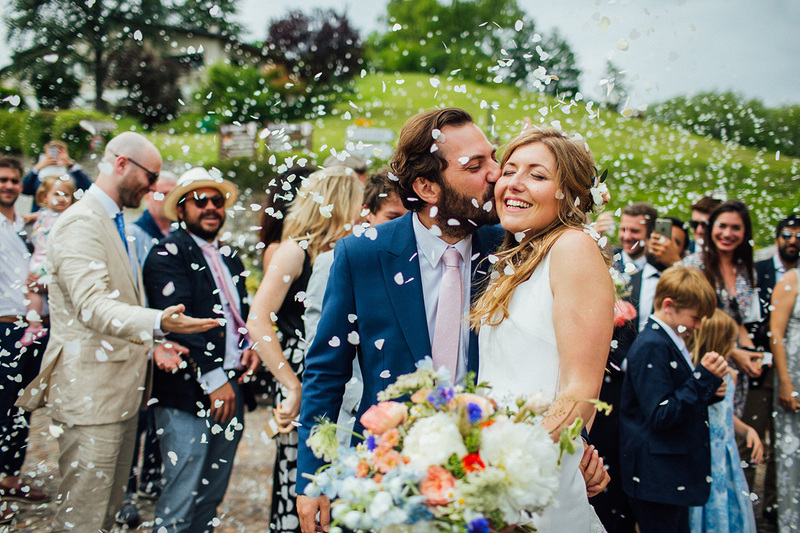 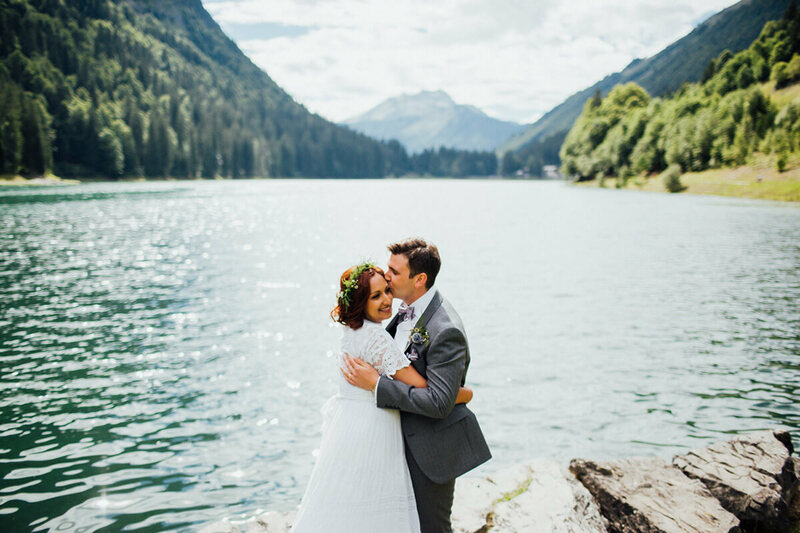 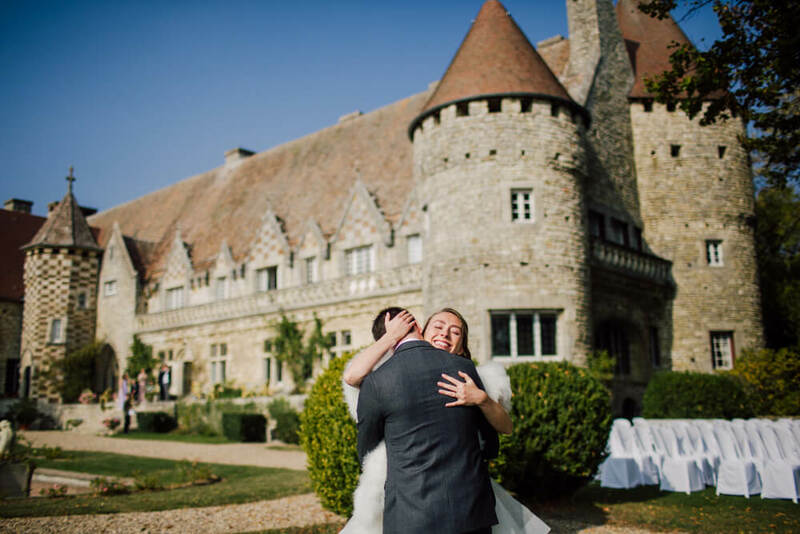 Despite their lack of local knowledge and GCSE French language skills (as Claire put it) the couple chose to work with local suppliers to achieve the wedding they wanted. 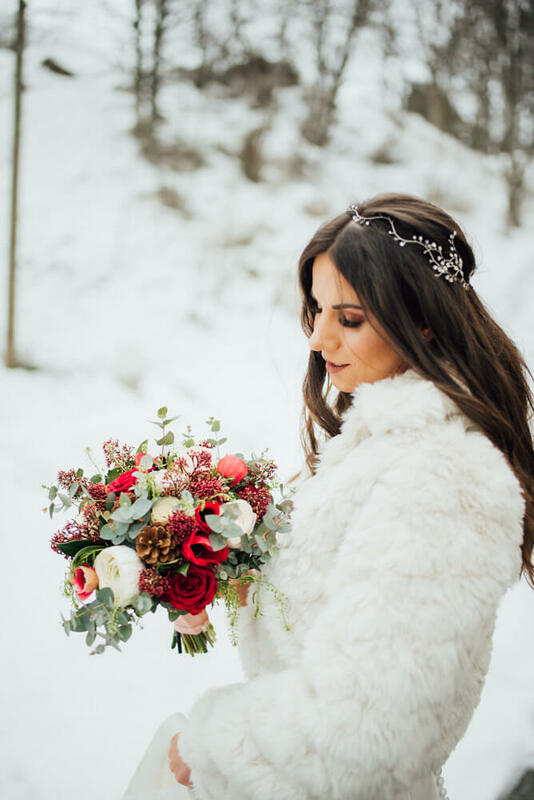 Laure at Fleur Privees supplied the stunning winter flowers and Jean-Pierre of Boulangerie Le Montagnard (chosen by the couple because he makes the best croissants in the village!) 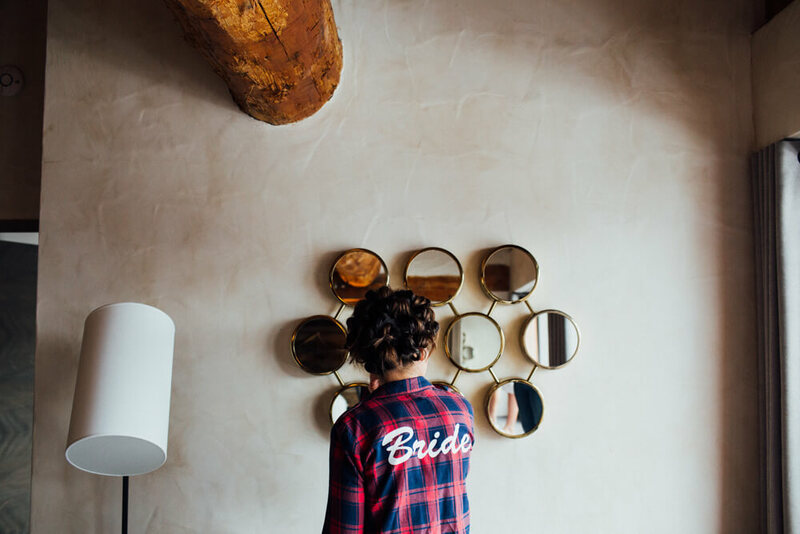 baked an impressive pink wedding cake. 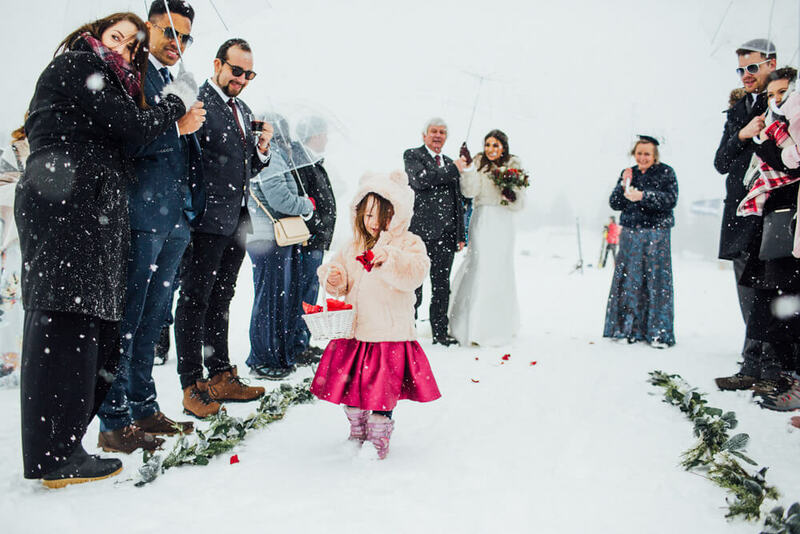 Our job was to capture this magic, without letting the extreme weather conditions hinder us. 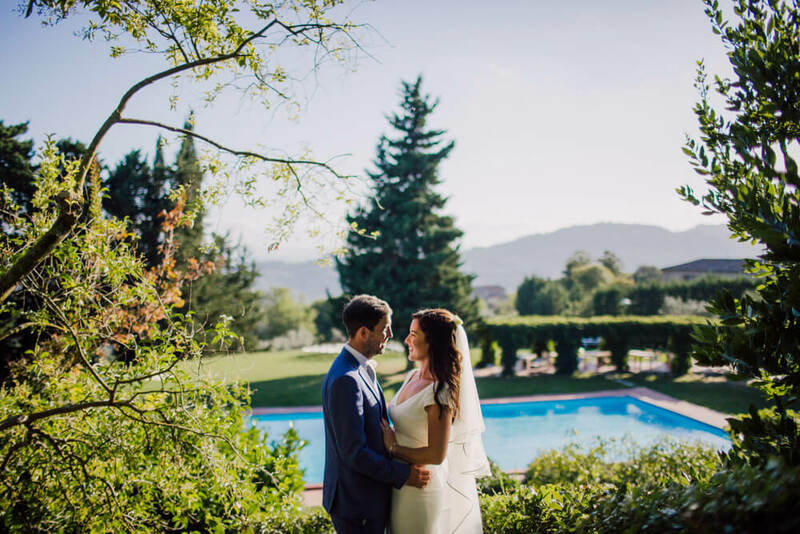 As we hope you will see from the gallery, we finished with lovely atmospheric photos which captured a uniquely beautiful and extraordinary wedding.